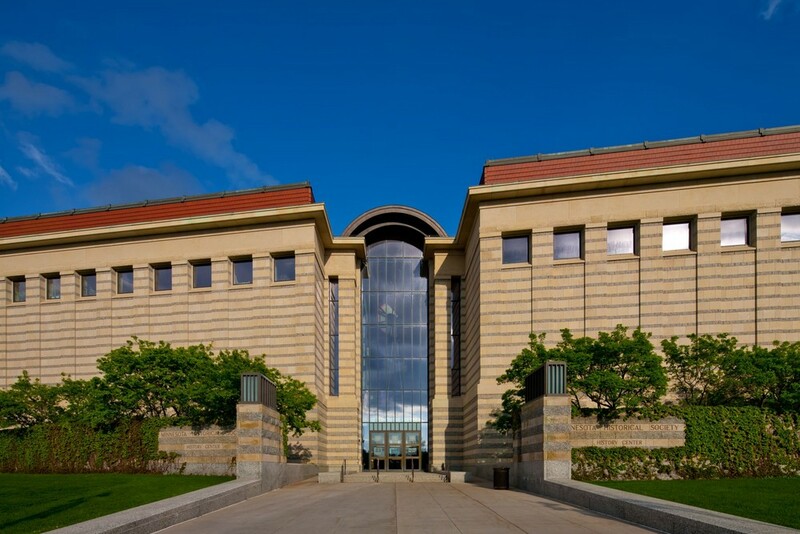 When Minnesota Historical Society officials and designers were seeking a local natural stone product for the Minnesota History Center they chose Biesanz MDL. 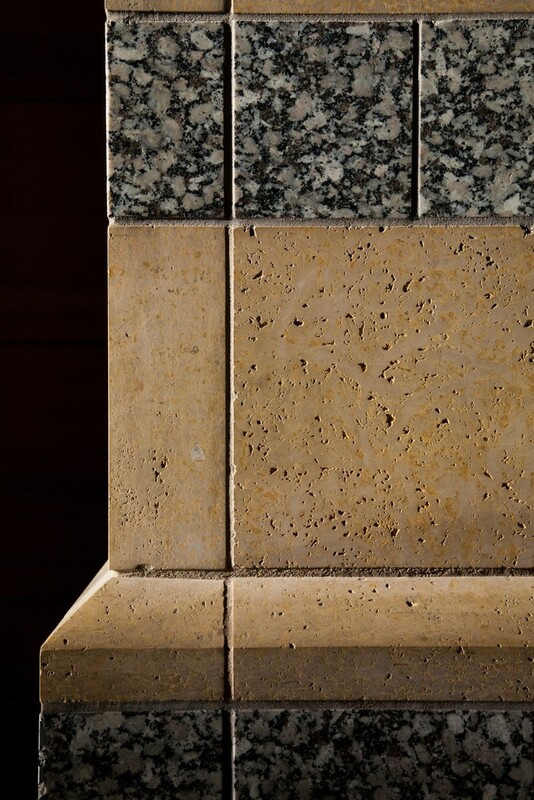 Combined with a local granite, the stones are arranged in alternating bands with rough-hewn and smooth textures that enliven broad stretches of the wall, and evoke the state’s geological history. More than 220,000-square-feet of MDL was used throughout the building. Three inch custom cut honed MDL veneer was used throughout the exterior, while two inch cut honed finish veneer was used in the interior of the building. Polished and filled MDL was used for the flooring/terrazzo, exterior walkways and courtyard. 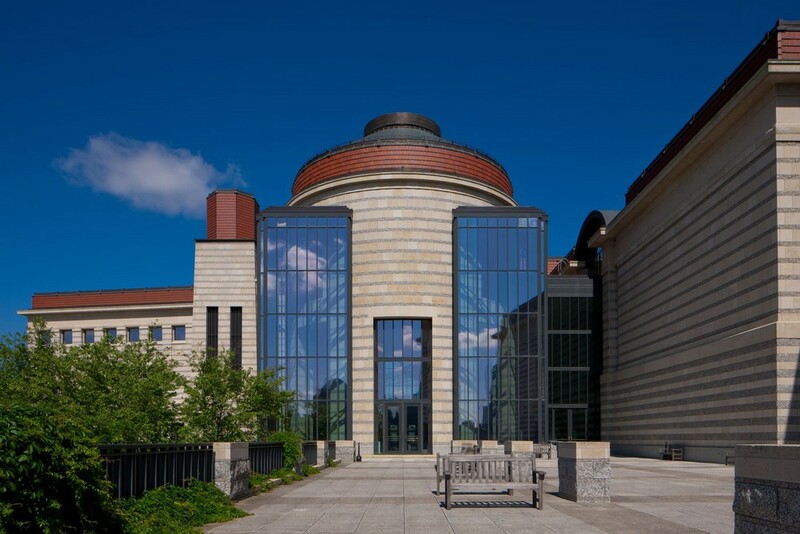 The durability of MDL ensures that the exterior of the building will be protected from Minnesota’s harsh winters, while the interior boasts remarkable beauty matched with MDL’s strength that will last for generations to come. 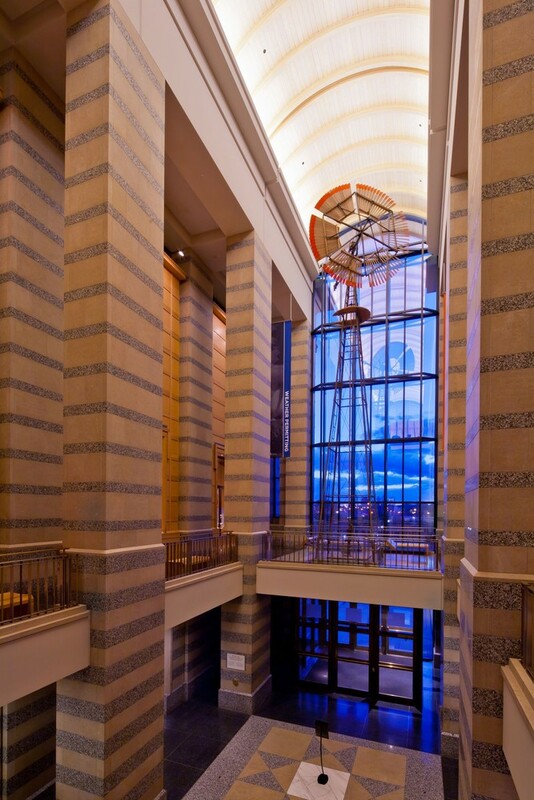 “Biesanz MDL performed very well in the Minnesota History Center for the last 20 years and has met our expectations,” said Karen Nichols, Facility Manager. 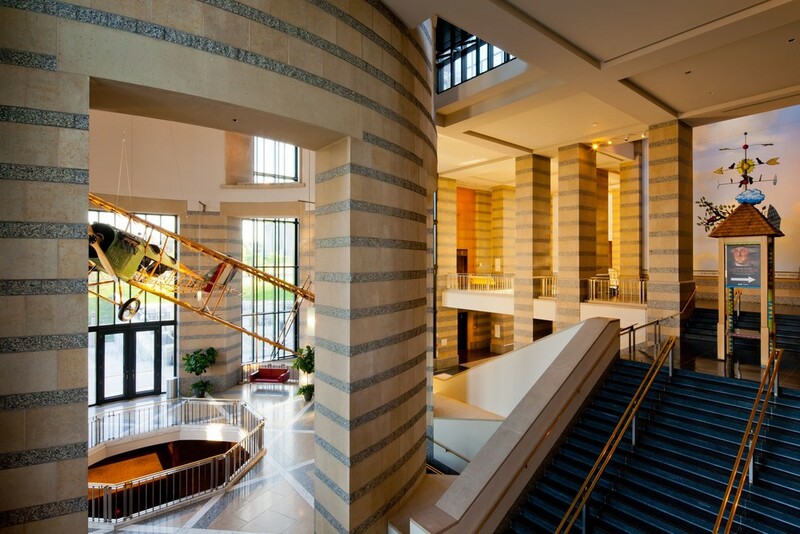 MDL also provides the hundreds of school children that visit the Minnesota History Center each year with its own history lesson. “We have hundreds of school kids come through the building during the school year, and I see many of them pointing to the fossilized impressions in the stone to their friends. Once they find a “cool impression” you can see them start to search other pillars for more,” said Nichols.